Prince William is "just good friends" with the daughter of a wealthy Kenyan conservationist with whom he has been romantically linked. St James's Palace stepped in on Sunday after several newspapers reported the prince had become close to 21-year-old Jessica Craig. "St James's Palace denies that there is or ever has been any romantic liaison between Prince William and Jessica Craig," a spokeswoman said. The Palace acknowledged William was a friend of Miss Craig and her family, but that was as far as the relationship went. Apparently the claim that the pair had had a "pretend engagement" was embarrassing for Miss Craig because she has a boyfriend. The claim came on the same day as a separate report that the prince was involved in a driving dispute which led to his armed bodyguards stepping in. 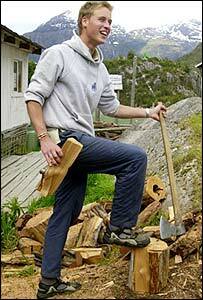 The Daily Mail claimed the prince had fallen for Miss Craig during his gap year trip to the east African country in 2001. Her home at the Lewa Wildlife Conservancy in Kenya has been besieged by media from around the world, and the Palace urged the media to leave her family alone. The reserve, run by Miss Craig's father, Ian, was where William spent part of his year off before starting at St Andrews University in Scotland. St James's Palace also denied reports that Miss Craig, known to friends as Jecca, was staying at the Highgrove estate in preparation for the prince's 21st birthday next week. There has been speculation that William plans to return to Africa to work in conservation when he finishes university, instead of the traditional royal career in the armed forces. 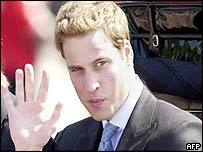 Prince William, who is second in line to the throne, is currently halfway through his four-year degree studying History of Art at St Andrews. On Sunday it was reported the prince's VW Golf overtook an Land Rover on a country dirt track and then the Land Rover was forced off the road by the prince's Royal Protection Officers. St James's Palace called it a "very minor incident".